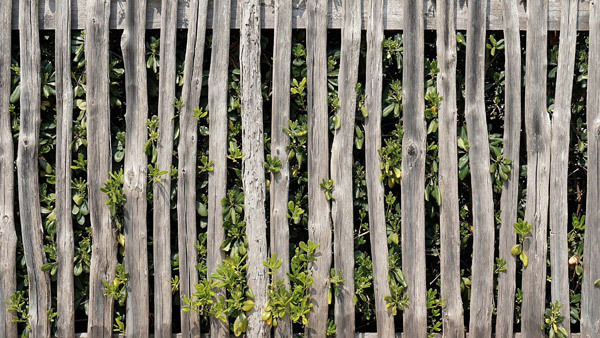 When it comes to your home’s wooden fence, rot is often your worst enemy. It affects the look and aesthetic appeal of your fence, while reducing your fence’s strength and rigidity. And as wooden fences generally stay in contact with ground soil over long stretches of time, rot can seem all but inevitable. However, there are a number of things you can do to prevent the spread of rot within your home’s fence. For this week’s blog we’re going to take a look at the top five things that you can do, to stop rot today. 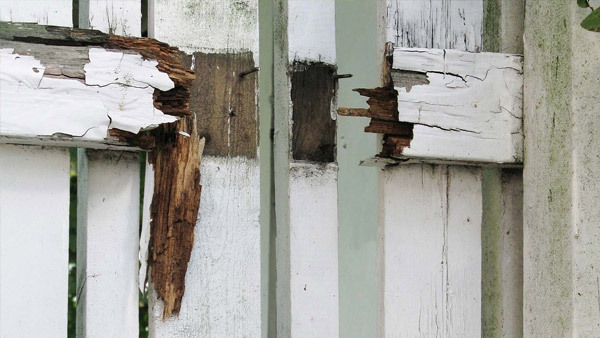 The first and most important step in combatting rot, is understanding what type of rot your fence is at risk from. There are two types of rot; wet rot, and dry rot. Wet rot is the result of moisture regularly coming into contact with wood. Most commonly this takes place at the base of your fence, where the fence posts come into contact with the earth beneath them. Wet rot is identifiable by various instances of cracking and softening in your timber. There may also be a damp musty smell, or fungal growth accompanying it. Dry rot on the other-hand is, as its name suggests, caused by the wood being continual exposed to harsh, dry environments. The sun and hot winds literally dry out your fence, removing protective oils that exist on the wood’s exterior. If your timber is dry and brittle. If it is easily broken. If parts crumble in your hand. It’s probably dry rot. A damp, musty odour may also be smelled; this is produced by the fence’s active decay. An example of wet rot. When installing a new fence for your home, consider using hardy or rot-resistant materials. The type of material you choose now, can make a big difference in the future. Hardy wooden materials include: cedar, juniper, redwood, and cypress. Woods that may not be as well-wearing include: pine, tamarack, and Douglas fir. 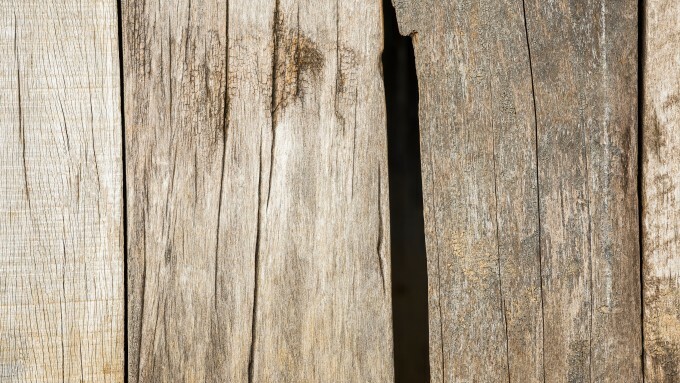 Purchasing treated wood can also help to protect your fence from rot and termites. Additionally, it may be worth looking into wood alternatives. For example, both Colorbond® Steel and Smartfence Steel fences are completely rot resistant. Installing a hardy wooden fence. Regularly staining your fence can be integral to keeping rot at bay. We recommend staining your wooden fence at least once a year. 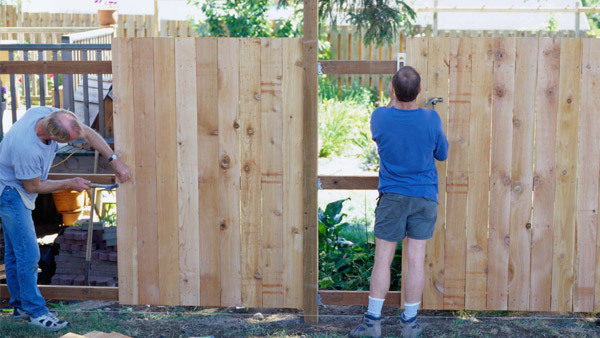 However you may need to stain your fence more or less frequently based on a number of environmental factors. These environmental factors include: average temperature in your area, amount of rainfall, soil surrounding your fence etc. A good way to test if your fence needs a new stain is by spraying it with a little water. If the water beads on the wood’s exterior, then your stain is intact. Alternatively, if the water is absorbed into the interior of the wood, then it’s time to give your fence a fresh stain. 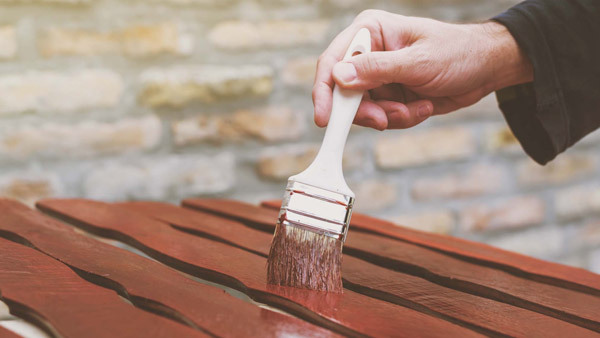 For a guide to applying a new stain to your wooden fence, check out our recent blog article: how to stain your wooden fence. Build-ups of moist debris can kick rot off, fast. Damp leaves, grasses, plants and the like can all cause debris to enter your fence through tiny cracks and crevices. And it’s when dirt and soil enters these crevices that rot begins. Therefore one of the most effectiven ways of preventing rot is by keeping your fence clear of foliage and grime. This can be achieved with a little maintenance and by occasionally cleaning and washing your wooden fence. Clear foliage from around your wooden fence. Should rot start to appear in your fence, you can stop its spread by replacing the affected sections. It’s most likely that you will be replacing the fence’s main posts. As your fence posts touch the ground, this is where rot often begins. You can purchase the materials and equipment for replacing fence posts from your local hardware store. Or you can hire a professional to complete the job for a relatively inexpensive price. However it is important to do this at the first sign of rot, as rot can spread quickly. For the best protection from rot, when replacing rot-affected sections, give the rest of your fence a good clean and a new coat of stain too! If you’ve enjoyed this blog entry and would like to find others similar to it, you can do so by following the link contained below.